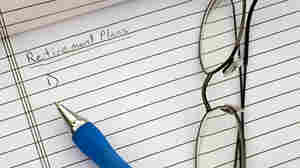 April 28, 2010  A 20 percent increase in retirement applications last year was something of a surprise to the Social Security Administration. Many older Americans needed to tap into their retirement benefits after losing their jobs during the recession. April 20, 2010  Goldman Sachs is a polarizing force on Wall Street. The banking firm has been wildly successful. It took plenty of risks and emerged from the financial crisis stronger than ever. 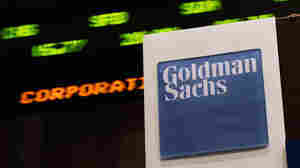 And now Goldman is striking back against charges that it defrauded investors. April 20, 2010  Wall Street investment giant Goldman Sachs reported Tuesday that its first-quarter earnings almost doubled to $3.3 billion — as its trading business again surpassed the rest of the financial industry. On Friday, the SEC announced civil fraud charges against Goldman over how it packaged and sold one of its subprime mortgage investments. April 13, 2010  The Federal Reserve has stopped buying up mortgages, something it began doing during the financial crisis to prop up the housing sector. Mortgage rates have been creeping up in recent days. The Fed has promised to step back in if the market encounters serious problems, but analysts are hoping the market can function again on its own. April 3, 2010  The economy gained 162,000 jobs in March, the most significant growth in three years. The unemployment rate did hold steady at 9.7 percent, still high by just about any measure, but there's still a psychological impact of a positive jobs report on consumers and workers. April 1, 2010  The government may rake in multibillion-dollar profits when it sells shares in Citigroup. But like any investment, the $700 billion financial bailout was a wager, with losing bets as well as winners. April 1, 2010  Two online job sites report a recent surge in postings by U.S. employers — a sure sign that some hiring is on the horizon. It also boosts hopes ahead of Friday's Labor Department report on employment, which is expected to show the first major gains in job creation since the start of the recession. March 30, 2010  The Treasury Department announced Monday it will sell its stake in Citigroup — 7.7 billion common shares. The government bought the shares during the height of the financial crisis. Barring a collapse in Citigroup's stock price, the government could profit more than $8 billion. A Taxing Question: DIY Or Hire An Accountant? March 24, 2010  NPR asked Facebook users whether they prefer to do their own taxes or hire a professional. Hundreds of people — including actors, musicians and entrepreneurs — responded with tales of tax anxiety. 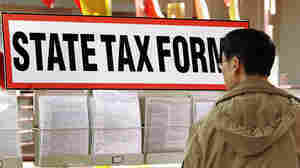 One couple even said they set aside a romantic holiday to do their taxes. March 21, 2010  From Connecticut to California, pension funds for public employees lack the funding they need. A recent report from the Pew Center on the States put the tab for unfunded pension liabilities at $452 billion. The debacle could threaten the financial solvency of some states — and taxpayers are on the hook. March 21, 2010  Generous benefits, underfunding from the state and worse-than-expected investment returns have pushed Pennsylvania's two large public pension funds into multibillion-dollar holes. The state didn't set aside enough money to make good on the pension promises it made. March 14, 2010  Annoying overdraft fees on insignificant purchases may be on their way out. Starting this summer, banks will have to get their customers to "opt in" if they want overdraft protection on debit card transactions. But the new rules won't necessarily ease a person's cash flow; banks are finding other ways to make the money back. March 10, 2010  Bank of America says it will do away with overdraft charges on debit card purchases. When customers try to buy something but don't have enough in their account, the transaction will be be rejected. The move is in reaction to a new regulation that will require banks to get customers to "opt in" to automatic overdraft protection. 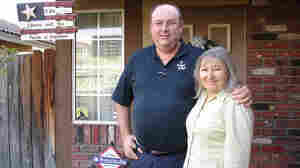 March 8, 2010  Since the housing crisis started, Riverside County, Calif., has ranked near the top of the foreclosure list. Even people who didn't get swept up in the housing bubble have been hurt by the bust — take one block in the community of Moreno Valley. March 6, 2010  There are now 6.1 million people who have been out of work for six months or more. The average duration of unemployment is well past anything the U.S. has seen in the past 30 years.